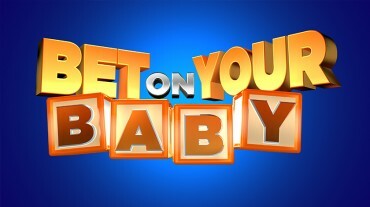 The alphabet network has delayed the debut of their new Saturday night game show, Bet on Your Baby, by one week. It will now premiere on April 13th. All parents think they know their baby well, but are they willing to bet on it? ABC’s “Bet On Your Baby” will reveal the answer to that question each week in an hour-long program featuring five memorable families with toddlers between the ages of two to three-and-a-half years old, who will play to see how well they can guess their child’s next move in the hopes of earning money towards their college fund. Actress/comedienne and working mom Melissa Peterman, star of ABC Family’s “Baby Daddy” and “Dancing Fools,” hosts ABC’s newest addition to the network lineup, the adorable, hilarious and surprisingly suspenseful game show, “Bet on Your Baby,” which premieres with back-to-back episodes SATURDAY, APRIL 13 (8:00-9:00 & 9:00-10:00 p.m., ET). Editor’s note: “Bet on Your Baby” was originally scheduled to premiere on April 6. On “Bet on Your Baby,” the parents will be playing the game and the children will just be playing. The game takes place on two stages – on one, a shiny game show studio with a cheering audience, one parent places a bet, while on the other, the parent takes the child to a play room called “The Babydome” where the child determines the outcome of the game completely unaware of the stakes that are on the line. Each family plays a self-contained, individual challenge against the house — meaning that they’re only competing against themselves, not against other families. Later on, the five families return to play for the chance to advance to the final round – “Smash for Cash” – in which parents of one toddler will have 5 tries to hammer open piggy banks, one of which contains a $50,000 college fund. “Episode 101” (8:00-9:00 p.m.) — How many toys can your spouse get your toddler to clean up in a minute? How many cookies can your wife get your child to stack while time runs out? Which snack will your two-year-old choose to eat? — And would you bet money on it? “Episode 102” (9:00-10:00 p.m.) — Will little Ryder be able to complete an obstacle course with Dad in just 90 seconds in the game “Copycat?” Can young Addison name at least seven grocery items before the clock runs out during “In the Bag,” and does she really know the word for “corn,” as Dad insists but Mom doubts? And can Thomas play “Stack ‘Em” and not “eat ’em” before time is up? 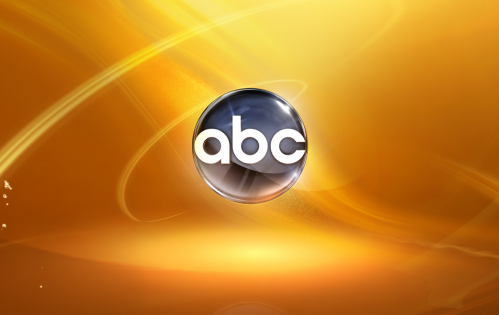 ABC has ordered eight episodes of the series, which is produced by some of the talents behind such hits as “Supernanny,” “Survivor,” “The Biggest Loser” and “Jamie Oliver’s Food Revolution.” “Bet on Your Baby” was created by 5×5 Media’s Craig Armstrong, Rick Ringbakk, Charles Wachter and Electus’ Ben Silverman and Jimmy Fox. The series is executive-produced by Electus (Ben Silverman, Chris Grant, Jimmy Fox) and 5×5 Media (Craig Armstrong and Rick Ringbakk). Electus International, the global distribution arm of Electus, will distribute the series universally. Electus is the first integrated multimedia entertainment studio to unite producers, creators, advertisers and distributors under one roof and produce all forms of content for distribution across a variety of platforms around the world. Headed by Ben Silverman in partnership with IAC [NASDAQ: IACI], the company connects advertisers, distributors and content creators early on in the development process, enabling marketers and advertisers to be a true partner in campaigns and content creation. Electus International, the global distribution arm of Electus, is responsible for all international sales and distribution for Electus’ programming and its studio partners as well as programs and formats from other well-known 3rd party providers. “Bet on Your Baby” is broadcast in 720 Progressive (720P), ABC’s selected HDTV format, with 5.1-channel surround sound. A TV parental guideline will be assigned closer to airdate. More about: Bet On Your Baby, Bet On Your Baby: canceled or renewed? Bet on Your Baby: New ABC Game Show; Cancel or Keep It? Does ABC not have anything better to air? Like the rest of 666 Park Avenue? Looks stupid, sounds stupid, so it’s probably gonna be stupid. Not tuning in at all.